Outside Denver, Colorado, Beau and his friend, Judge Scott, find shelter during a blizzard at the home of Martha Flood and her niece Sally. 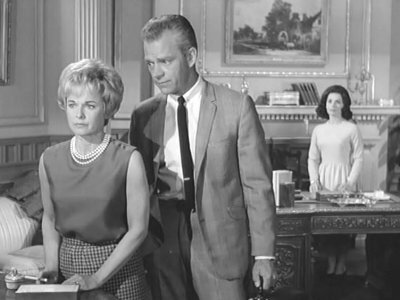 Martha and the judge are plotting to institutionalize Sally in order to take over her inheritance. 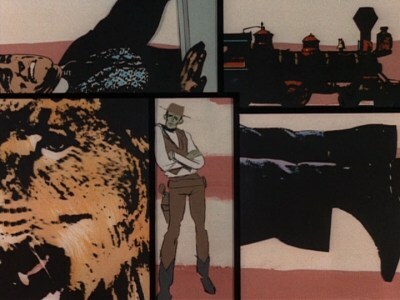 However, Martha's lover, a professional killer named Chet Whitehead plans to kill Sally, the judge, and Maverick. Bart, waiting to collect on a $10,000 IOU, makes an uncomfortable observation: murder may be the pay-off in a gambler's life. Crusading newspaper publisher Bart? The publisher Bart won the rag from is assassinated and a corrupt U.S. Senator files a $100,000 libel suit against the Chronicle. Luckily, Bart's pal Doc Holiday is in town for a dentists' convention and owes Bart $2000. When Doc brags "I have enough collateral to raise the dead! ", Bart feels no compunction in selling ½ the headache to Doc. The senator and his sinister political boss are Ivy Leaguers, so the suave Philadelphia dentist/hired gun will come in handy. Bart forsakes the poker table for the stock market - and finds himself trying to bluff wealthy Loftus Jaggers and his glamorous daughter (Paula Raymond). After Miss Ellie's decision to sell Section 40 to McKay. Wendell decides to sell most of his Weststar stock to make the purchase. 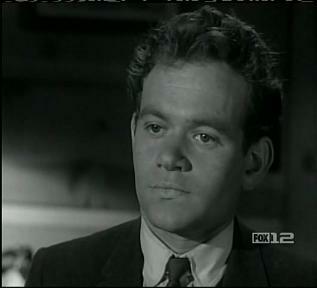 McKay pressures Wendell to have his son Tommy released from prison. Ray leaves Southfork and goes back to Europe. Bobby tells Tracey that problems with her dad are separate from their relationship. 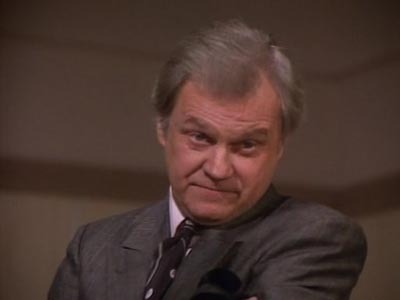 The sheriff from Haleyville shows up at Ewing Oil and warns J.R. Sue Ellen tells Wendell off when he proposes to her. April and Lucy uncover Casey's con game. McKay gets a phone call from Tommy. J.R. wants to be oil partners with April. Tammy questions Cliff about Jamie. McKay makes up with Tracey as they anticipate Tommy's return. Kimberly Cryder tells McKay that she's got controlling interest in Weststar. 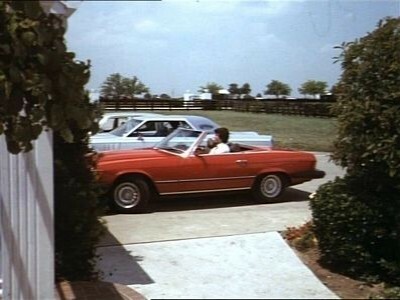 Cally shows up at Southfork and announces she's J.R.'s wife. Cliff gives a television interview following the committee's decision on the tanker collision. Bobby gives April an engagement ring but then they break up over three Ewing Oil fields which April bought behind Bobby's back and then unknowingly sold to Weststar. Cliff meets public relations expert Stephanie Rogers. 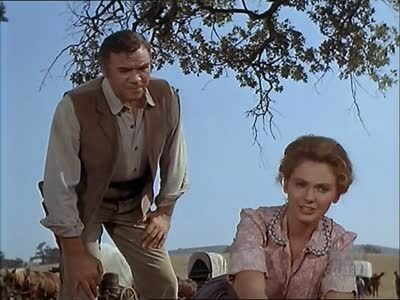 J.R., Cally and John Ross travel to Pride, Texas to help Miss Ellie put the town back on the oil map. Clayton remains sceptical about the new Pride venture. James and Michelle make up. Bobby warms James against doing business out of Ewing Oil offices without his knowledge. Bobby thinks he saw Pamela. Seeking revenge against those who sentenced him to death, Zechariah Skull, a mad puppeteer, recreates a courtroom drama using life-size puppets. 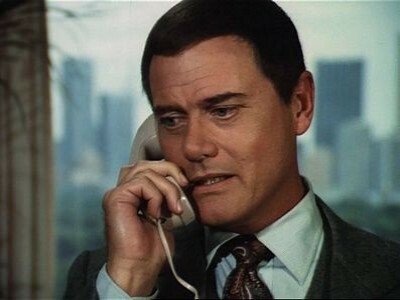 Cliff is put in charge of the investigation into the possible murder on Southfork and pursues the Ewings. Miss Ellie continues to fight the park development. Digger's back, and drinking again - he's found unconscious at Cliff's. Sue Ellen turns to Bobby as she becomes further embroiled in J.R.s plan. Then she hears some devastating news. 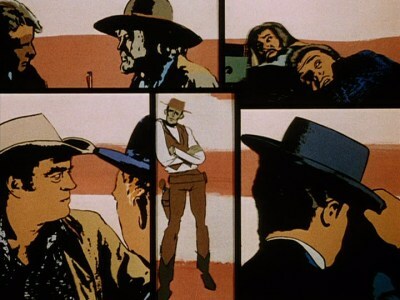 Bobby is trying to recover the devastated Ewing 23 field, but J.R and Jock oppose his plan. Pam believes she has at last found her mother, but things are not as simple as they might seem. Cliff continues to support Dave Culver's career. Lucy proposes marriage to Mitch and J.R. stumbles into a scheme which he intends to use to put Bobby in trouble with Jock. J.R. and Cally's marriage is in trouble as they keep fighting and he moves to a hotel. McKay accomplishes his mission with Inagaki and he makes Michelle happy but April leaves Dallas to visit her mother Amy in Ohio. 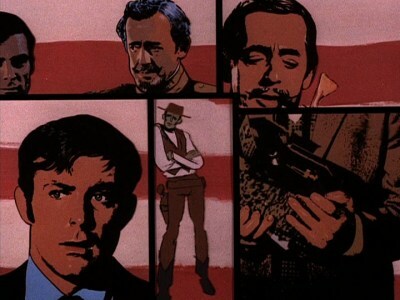 Events continue to unfold in the wake of the mysterious death during the reading of Atticus Ward's will, as "Rabbit" Hutch gets arrested and then gets bailed out by Ellie and Clayton who later finds him dead. Cliff gets appointed chair of the Oil Regulatory Commission and J.R. realizes that he understimated Stephanie Rogers. Bobby goes to Ohio and tries to make things right again between him and April. Serena Ward reappears and makes J.R. happy again. Bobby's oil tanker sinks with over 600,000 gallons and is not insured. Cliff is seeing Donna with a view to working for Dave's campaign. Bobby does some detective work and finds out how devious J.R.'s plan really is. 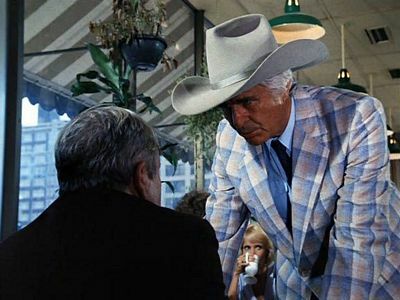 Amos Krebbs, whom Ray hasn't seen or heard from since he was three, shows up at Southfork with some very disturbing news for the entire Ewing family. J.R. is back to normal, sleeping with his secretary behind Sue Ellen's back. Bobby finds himself in a tough position after he enters an oil drilling agreement. Cliff and the Culvers set their argument out against the Takapa project to the Daughters of the Alamo. Mitch's sister, Afton, and their mother arrive for the upcoming wedding. 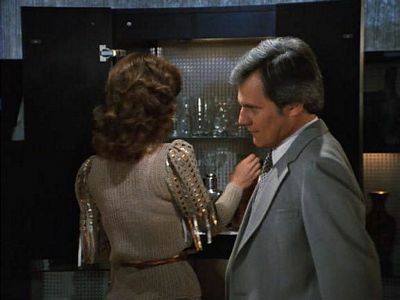 J.R. takes an immediate interest in Afton, which worries Sue Ellen. Miss Ellie has accepted Jock's death. Marilee Stone tells Cliff that J.R. used her to get Sue Ellen back. Bobby tells Pam the truth about Christopher. They fly to Los Angeles and learn that Kristin miscarried J.R.'s baby, that Farraday and Kristin were married, and that Farraday is Christopher father. Clayton comes back from vacation. 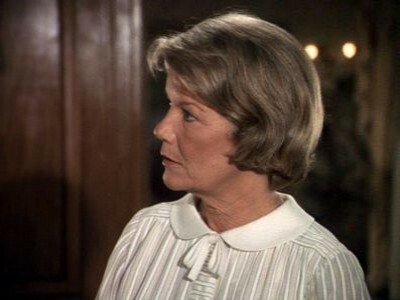 J.R. and Sue Ellen plan to marry and break the news to the family. 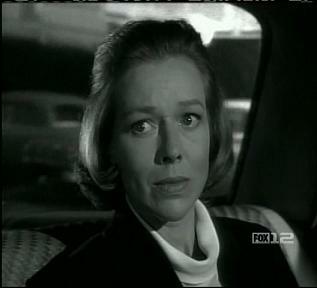 Lucy tells Muriel she was raped by Roger. 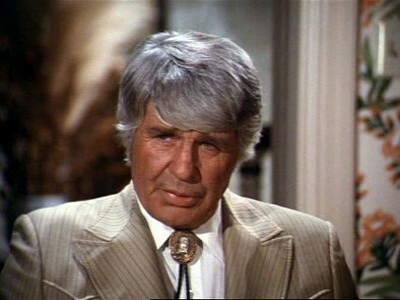 Cliff feels devastated when Sue Ellen tells him she's marrying J.R. He tries to kill himself. 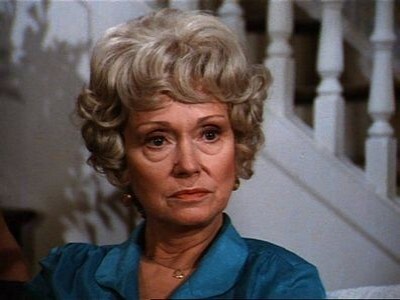 Rebecca shows up at Southfork and tells Miss Ellie that the Ewing-Barnes feud will continue. Sue Ellen feels guilty about Cliff's suicide attempt and tells J.R. she may not be able to marry him if Cliff dies. Jim must return a princess to the Hunan throne in China, and Artie has only one clue to track down the smugglers of opium and Chinese aliens: a fortune cookie. James and Artemus arrive in Mexico with a present for the Mexican president: a beautiful Arabian horse. 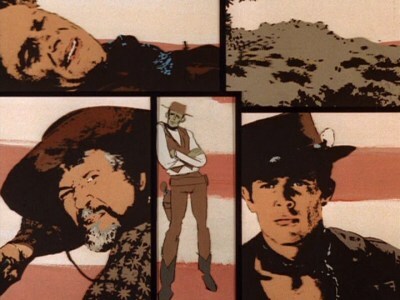 Within minutes of their arrival, however, the horse is stolen by a group of outlaw bandits. Our heroes must battle the hot Mexican desert to get the horse back before the outlaw Mexican army beats them to it. J.R can't keep his eyes off Sue-Ellen's sister, Kristin, so he gives her a job at Ewing Oil, and moves her into the Ewing condo. Pam tells Bobby about her pregnancy, but says nothing about her disease. 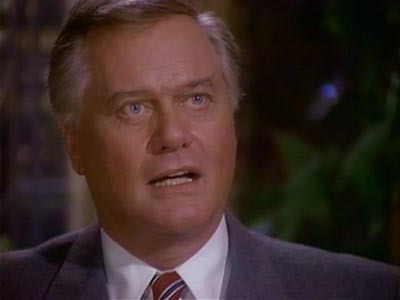 J.R. continues to secretly finance Cliff Barnes' election campaign, and also mortgages the Southfork Ranch for his drilling project in southeast Asia. LeeAnn's scheme to sabotage J.R. and Vanessa's engagement works, and Vanessa heads to Vienna. McKay is released from prison and vows to pay back J.R. James and Michelle reunite. With revenge in hand, LeeAnn exits for South America and relinquishes ownership of Ewing Oil to Michelle Stevens. 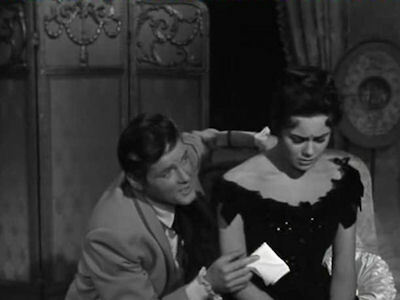 Clint puts his feelings for Sue Ellen on the line. Donna and Ray try to reconcile Jock and Miss Ellie only to find their problems run deeper than the Takapa project. 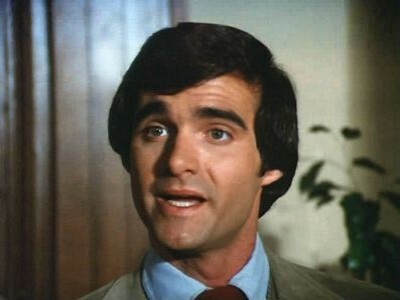 As J.R. accelerates his efforts to sell Ewing Oil to Westar, Leslie Stewart's ex-husband shows up in Dallas. Cliff learns Pam's secret, and meets up with Afton Cooper. Jock and Miss Ellie finally come head to head. West and Arte ride into the quiet town of Willow Springs, only to find it looted and all of its citizens victims of a mysterious paralysis. Cally plays her part to fool J.R. into trusting her, as does James. 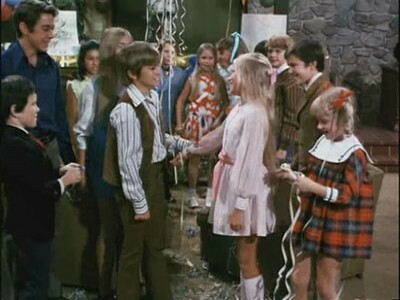 Bobby and Cliff meet with old friend Liz Adams, and Cliff's head is turned. Clayton puts the wheels in motion to get hold of the Weststar voting rights. J.R. tries to see Jessica in the sanitarium. Bobby and April enjoy themselves at their respective parties the night before their wedding. 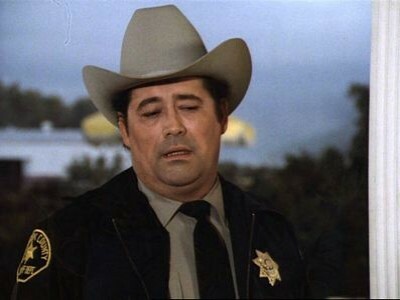 Most of the Southfork residents leave for holidays, leaving Cally alone. 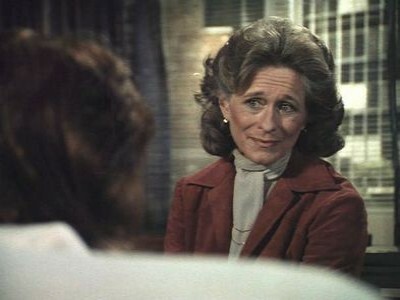 J.R tells Cally to get out, and checks into the sanitarium to find Jessica. Chivalrous Bart saves the life of a beautiful woman. His reward? A place on the wanted list for robbery and murder. On the trail of the source of mysterious tidal waves, Jim and Artie find a fanatical marine environmentalist at the heart of the mystery. West must protect the Grand Emir of the Ottoman Empire from the fatal charms of Ecstasy La Joie. Jock is bailed over the charges, and they hire a top trial lawyer. Miss Ellie makes her position clear with Matt. Sue Ellen falls apart after the news of Dusty's death, and hits the bottle again. J.R.s evidence at the trial is damning. Digger is slipping fast but makes a startling confession on his deathbed. Someone is trying to run settlers off their land, buying some of them out, scaring others away and even murdering those who refuse to leave. 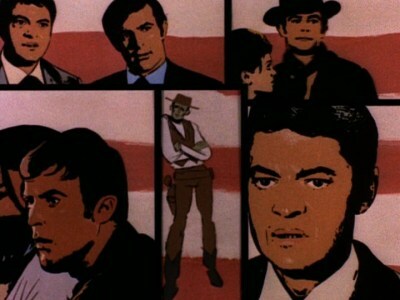 The government sends Jim and Arte to investigate the situation and to stop whoever is behind this. Miss Ellie comes home but Jock is away on business. Cliff wants to leave Dallas, but Rebecca has a idea. Sue Ellen has misgivings about building a new life with Dusty. Pam becomes desperate, so Bobby investigates adoption. 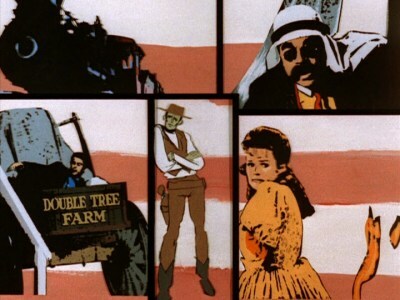 J.R. uses Miss Ellie to gain access to the Southern Cross Ranch and his son. Police question Bobby about Farraday. The family are worried about Lucy's disappearance. Rebecca learns Cliff has been withdrawing large amounts from Wentworth Tool and Die. 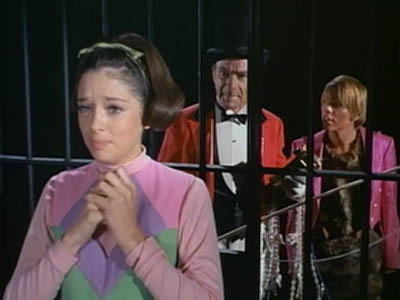 Bobby and Pam rescue Lucy from Roger and she is taken to the hospital. Cliff is facing financial ruin and tries to borrow money from Sue Ellen. Mitch visits Lucy at the hospital where they agree to divorce. Miss Ellie is still furious with Donna. Sue Ellen tells Pam about Cliff's situation. Farraday's associates show up at Bobby's office thinking Bobby had drug deals with Farraday. J.R. finalises his plan with Cliff and Sue Ellen. April complains to J.R. that he didn't tell her about Cally. Cliff tries to turn his dates with Tammy into a relationship. 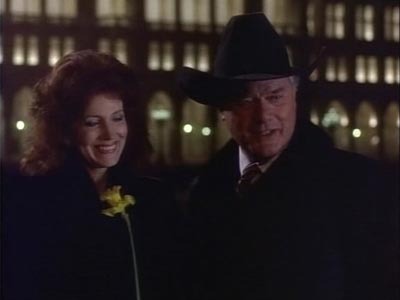 Cally vows to stay at Southfork and make her marriage to J.R. work. McKay tells Bobby he's good for Tracey. Cally asks J.R.whether he slept with April. Christopher makes friends with Cally. Sue Ellen gives a little advice on how to handle J.R. McKay wants Tracey to work for Weststar. J.R. hires a cop to find out about McKay. 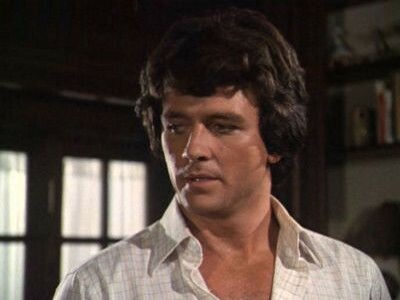 Cally tells J.R. he'll have to marry her again at Southfork. Tammy breaks up with Cliff. Tension rises between Cally and John Ross. Bobby tells Christopher that Pam will never come back. J.R. learns that Nicholas Pearce's father is looking into his son's death. Sue Ellen and the Farlows are over the moon at the court's decision. Pam finally cracks and needs help. J.R. moves in on Clayton's businesses. Mitch is offered a medical position. Ray and Punk are consider a new investment. 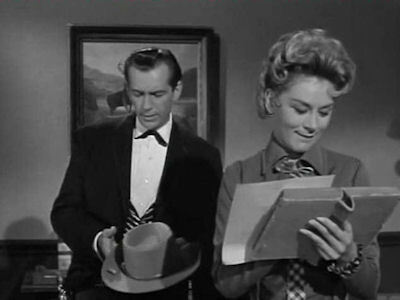 Bobby receives a letter about Kristin. Afton is finding her deal with J.R. to be unbearable. Bobby confronts Jordan Lee over Kristin and meets Jeff Farraday again. J.R.'s plan starts to hurt the Farlows. Mitch takes the job at the hospital. Donna becomes Ray's partner with the housing investment. Clayton and J.R. meet for a showdown. J.R's efforts to rid the family of Gary...again, begin to work. J.R pretends to help his younger brother, by including him in some Ewing business. The venture, however, is with a company doomed for failure, and Gary begins to feel the stress. Valene realizes what J.R is up to, but is unable to stop it. Pam has trouble of her own. 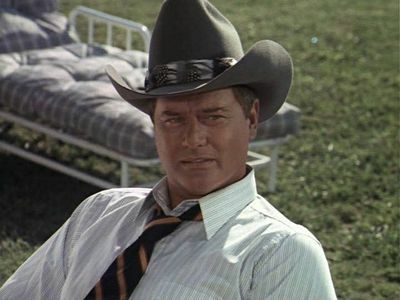 A drunken Digger showed up at Southfork, while recovering from his binge, he tell Pamela he will no longer acknowledge her as his daughter because she is married to a Ewing. Cliff tries to get Ewing information out of Sue Ellen, but she is not interested in helping him. He then tries Pam, who is hurt and angry about being used by her brother in the Ewing/Barnes feud. 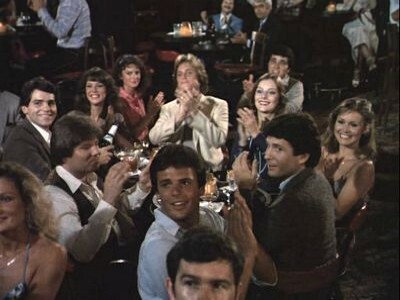 Meanwhile, with Pam away from Southfork, Kristin makes a play for Bobby. Lucy sees right through Kristin, as does J.R, but he encourages the relationship. 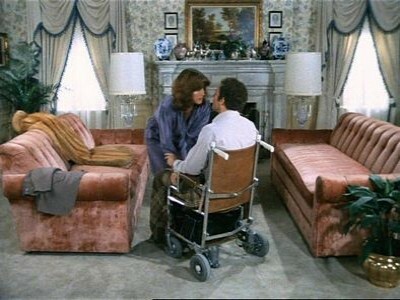 Sue Ellen is having recurrent nightmares about J.R.'s shooting, whilst the man himself fights to overcome the helplessness of his paralysis. 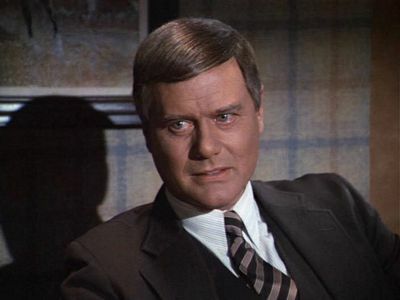 Bobby finds that his efforts to run Ewing Oil are thwarted by J.R., even from his hospital bed. Kristin is being extra nice to Sue Ellen. Lucy continues to see Mitch. Jock finds J.R.s gun in his wardrobe - it's been fired twice. 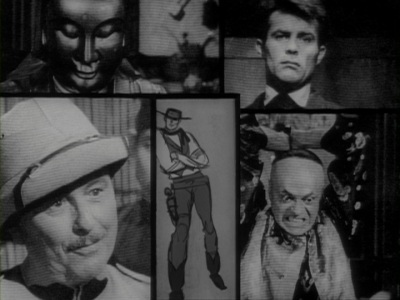 West is sent to infiltrate an army of fanatics dedicated to overthrowing the U.S. Government. 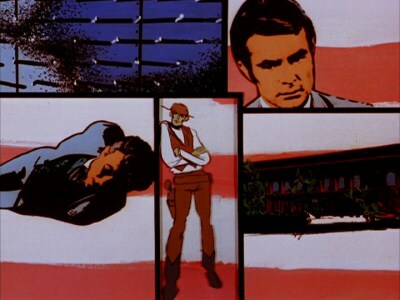 J.R, Bobby and Ray fly to South America to join in the investigation of Jock's helicopter accident. They search in the jungle and even reach the crash site where Bobby finds Jock's medallion but nothing else. The Ewing boys return with the terrible news. 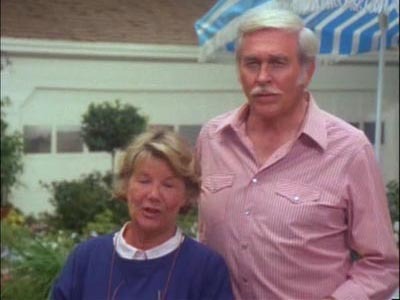 The identity of the dead woman floating in the pool is revealed. 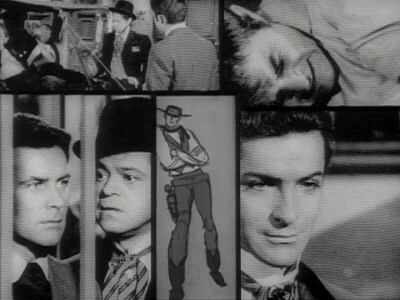 J.R. and Cliff accuse each other of murder and both are questioned by the police. Sue Ellen's plan succeeds, leaving J.R. furious. Ray and Donna discuss money. Cliff's actions have cost his career dear. With John Ross away, Pam begins to sink into a depression. 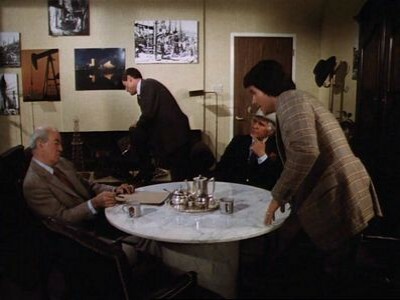 John Ross persuades J.R. to let Cally stay at Southfork. 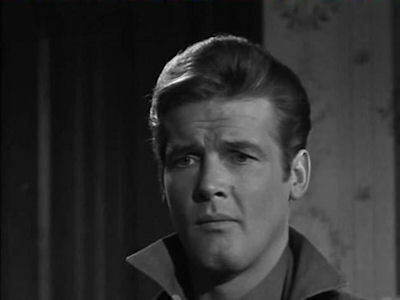 Clayton realises that the poisoned glass was intended for him. Bobby asks Cliff to be his best man. J.R continues to pursue Stephanie Rogers. James disappoints Shelley and suffers the consequences. Clayton discovers that Jessica has been released from the sanitarium. Inagaki offers Shelley a job overseas. J.R. makes moves to set up Cliff. Donna wrestles with her conscience over the damning evidence she has found. 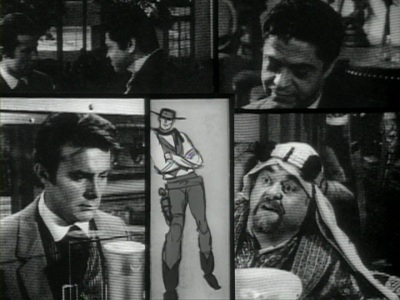 Clayton is confronted by J.R. about his feelings for Sue Ellen. Farraday continues to pester Bobby. Cliff is talked into the land deal by Marilee Stone, unaware it's a trap. Lucy tells her agent she can't work with Roger again. Mitch refuses a reconciliation. Cliff proposes to Sue Ellen. Roger abducts Lucy. J.R finally has proof as to who Christopher really is. Bobby surprises Pam by asking her join him on a business trip to Las Vegas. During the trip they are shocked to find brother Gary working at the hotel they are staying at. Lucy has been busy as well. 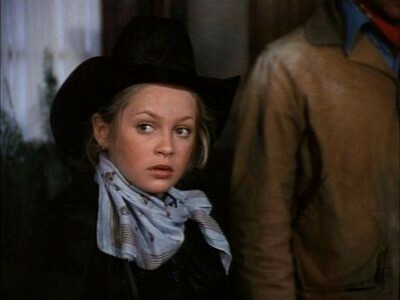 While at a cattle auction with Jock and Ray, she ditches out with Pam's cousin Jimmy, Ray is not pleased. It turns out Jimmy is just her drive, he takes her to the diner her mother is working at. Lucy has been secretly visiting Valene. 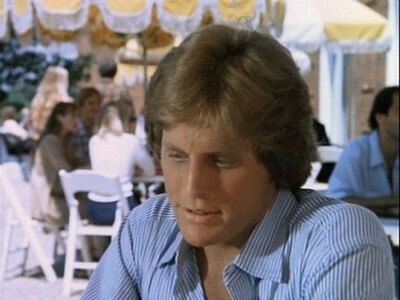 As Lucy and Val catch up, Bobby talks a reluctant Gary into returning to Southfork for a visit. Pam understands his reasons not too, but Gary eventually agrees. When Bobby calls Ellie with the news, she gives a stern warning to both Jock and J.R. Jock is not pleased and J.R begins to plot Gary's downfall even before he returns. 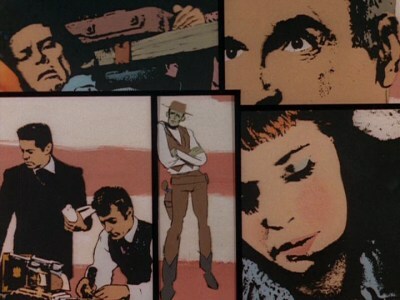 A sheet of music is the only clue left behind by a murdered agent, leading West and Pike to the Service Academy, where they must find a departmental traitor. Lucy Ewing is skipping school, and spending most of her time in the hayloft with Ray Krebbs. Pam, still not fitting in with the Ewing Clan, decides Lucy is her ticket in. Pam decides she will 'mother' Lucy and get her back in school. Lucy doesn't like her Aunt's interference, and up's the anti by claiming the guidance counselor sexually assaulted her. Pam, in the first of the 'Pam saves the day' episodes, finds out the truth and gets Lucy to tell the truth and return to school. Gary and Valene fly in for the wedding. Bobby knows that dealing with Westar will mean a betrayal for some independents. At Lucy and Mitch's wedding, Sue Ellen makes a play for an old boyfriend, Clint Ogden, to get even for J.R.'s sleeping with Afton. Miss Ellie is upset over Ray "replacing" Gary. Bobby makes a final decision. Kristin gives the police J.R.s pack of lies, the case is closed, and she and is banished to California. J.R.s brush with death has not mellowed him, and he fights dirty to regain control of Ewing Oil. Bobby gives the order to reopen Ewing 23 but needs a refinery. He works hard to try and buy one but is thwarted at every turn. The Maharajah Singh kidnaps West for very unprincely reasons: he is to tutor Singh's assassin sons in the ways of Western combat. 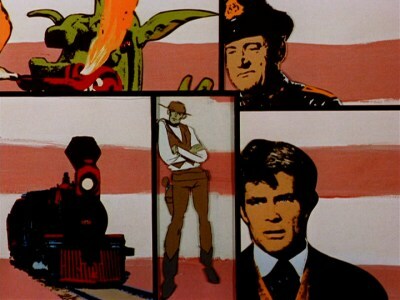 A mysterious dragon-like creature is blowing up American ships and West and Gordon must determine the cause. 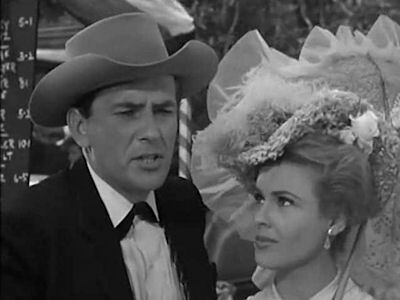 Lucy tells James what she thinks of J.R. John Ross returns from England to find an older brother. John Ross fears that James' presence will change everything. Bobby tries to do everything in his power to keep Cliff off the committee investigating the tanker disaster. April throws Michelle out so she moves in with Cliff. In the aftermath of the tanker disaster, Ewing Oil gets hate mail and McKay files a law suit. 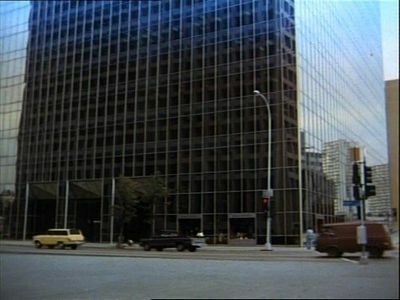 James gets Cliff's old office at Ewing Oil. J.R. tells James that his marriage vows to Cally are sacred to him. Bobby tells April it's time to think about marriage. 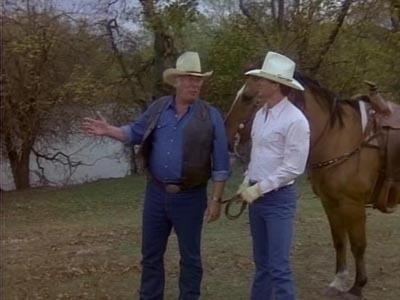 Cally confides in Alex regarding the new family situation at Southfork. James meets Michelle and they hit it off immediately. Cliff plans to get the governor's seat. Just as J.R. is about to quit Ewing Oil because of the tanker crisis, he gets a morale booster in the form of a surprise letter from Jock. Sue Ellen's mother and sister arrive in Dallas, and just in the nick of time. Sue Ellen catches J.R with another woman, and moves in with her family. She also hooks up again with Cliff for support. J.R is not happy, but finally decides he wants his wife home, even if the baby she is carrying is not his! J.R.'s successful involvement in the Asian coup brings the cartel back onside. Donna and Ray are reunited and plan to marry. Leslie tries to get J.R. to share his secrets with her, for her own reasons. Pam isn't happy with Bobby's campaign and again feels sidelined. Sue Ellen discovers that Dusty is alive but unwilling to resume their old relationship. Jock makes a shock announcement. 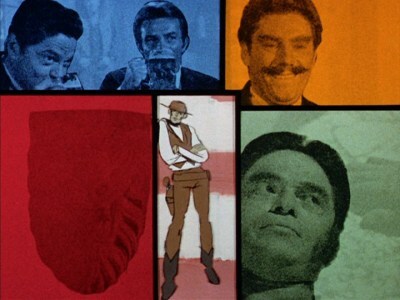 Luther Frick and his buddy find out that J.R Ewing and Ray Krebbs have been having a little fun with thier women, so they decide payback is in order. 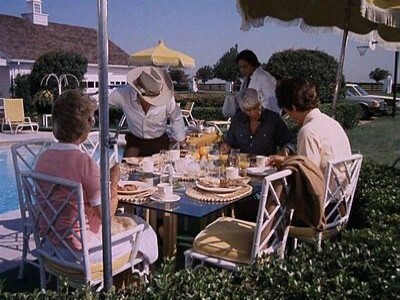 They go to Southfork while most of the Ewing men are away and hope to do the same with the Ewing women. They kidnap Pam, Sue Ellen and Lucy and seek revenge. 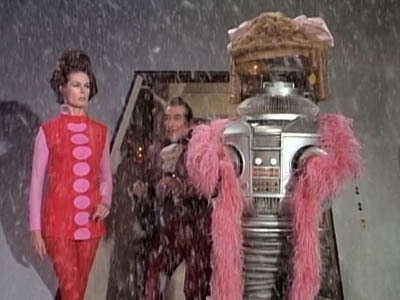 J.R. is pressuring Alan Beam to marry Lucy as soon as possible, but she's got a new crush. Cliff feels he is finished professionally but Bobby tries to help him Kristin finds she is being increasingly sidelined. Sue Ellen tries a new strategy in her fight with J.R. Jock frustrates J.R.'s plans for Lucy and Alan by pulling strings to get him a legal partnership in Dallas. Lucy does some hard thinking over her choices. Hogan and his men start an avalanche to prevent Panzer tanks from reaching their destination. Jock and Miss Ellie's reconciliation results in a second honeymoon and the stalling of J.R.'s scheme to sell Ewing Oil. Punk has another land project for Ray, to the family's dismay. Leslie Stewart moves in on Westar. Sue Ellen agrees to meet Clint's wife, after which she makes a decision. Wendell is furious over J.R.'s change of mind and moves to take revenge. During a storm, the Ewing plane, with both J.R and Bobby on board, crashes. The news gets to Ellie first, who, worried about his heart condition, insists the news be kept from Jock. 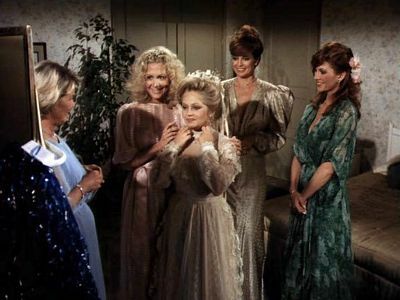 As J.R and Bobby fight for survival, the Ewing women contemplate life with them in it. Sue Ellen is worried her place at Southfork is not secure without a Ewing heir. She comes across Lucy trying to get in touch with Gary, and argues with the young girl. 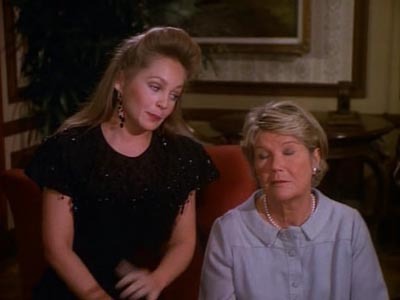 Lucy taunts back that Sue Ellen will never have Southork without a child of her own. 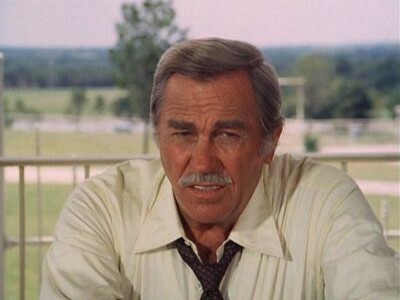 Miss Ellie confronts a reporter who comes to Southfork, and Jock overhears and is furious that the news has been kept from him. Tension between Ewing Oil and Weststar rises in the aftermath of the European deal. April vows not to let the crank phone calls get to her. 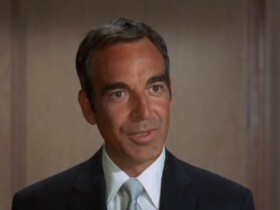 Tommy McKay returns to Dallas and shows up in Bobby's office with an apology. Miss Ellie and Clayton contine to try to resolve the mystery of the key for Jock. 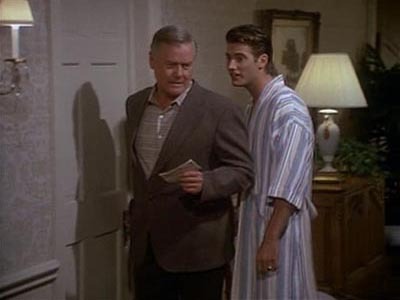 Bobby accuses Cliff of neglecting Ewing Oil business. Cliff goes to Charleston, South Carolina to search for Van Buren. April's sister Michelle Stevens appears and meets Bobby. Tommy plots a bomb attack. Gary visits Southfork. J.R. plots to acquire Gary and Ray's voting shares. Cliff sets up a plan to ruin J.R. for good. Dusty is still dwelling on times past. Bobby resigns his position as Senator, and finds out more about Kristin's child. 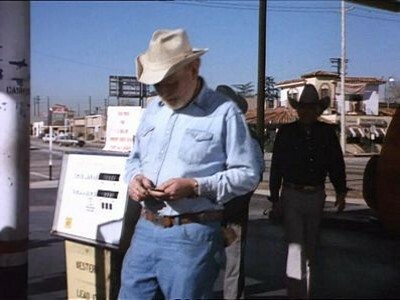 Pam is allowed to leave the hospital for a visit to Southfork. Ray's pride endangers the building project. 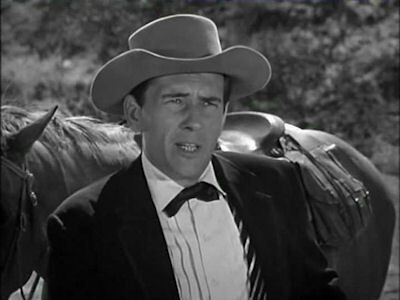 J.R. is forced to accept Cliff's demands. Pam is taking care of Christopher, delighted with the new baby. Ray is forced to pull out of his development deal. 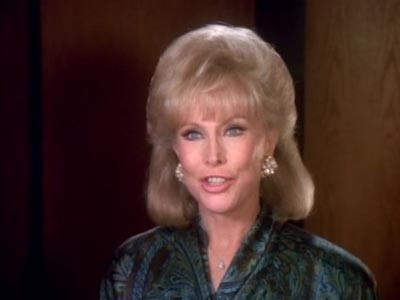 A determined Miss Ellie confronts J.R. about his recent schemes involving Ewing Oil funds. Bobby secretly investigates legal possiblities of adoption. Meanwhile J.R. decides to fight dirty at the final divorce hearing. 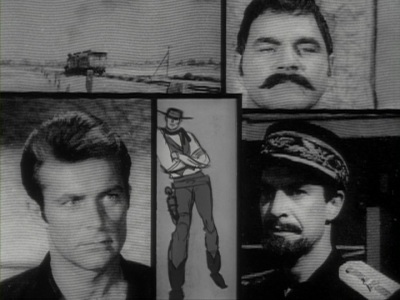 West and Gordon are assigned to protect foreign dictator Colonel Pellargo. 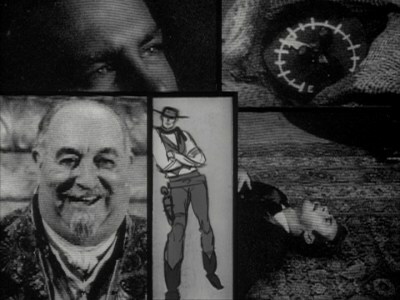 When the assassin dies a few days later, their investigation leads to Fabian Lavendor's funeral parlor. 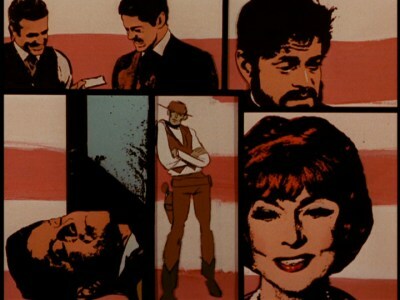 Agents West and Gordon are sent to investigate the killings of wealthy industrialists and find they're all connected to Emma Valentine, an evil matchmaker. Sue Ellen has a fight with Miss Ellie when she comes to Southfork to pick up John Ross and learns that he's been taken off the ranch for safety reasons. 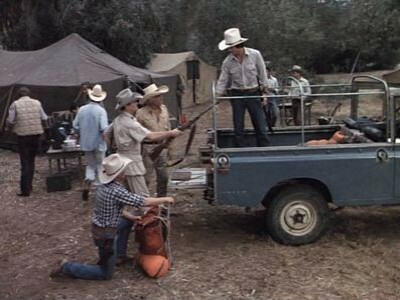 Wendell pressures Sue Ellen to take revenge on J.R. J.R. gets hired guns to protect Southfork. 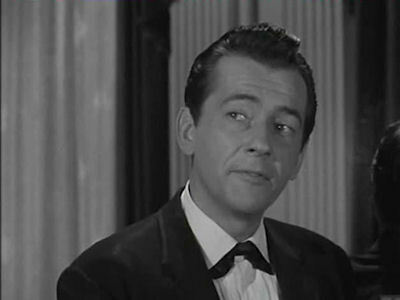 J.R. asks Harve Smithfield about the rights of an escaped fugitive from out of state if he gets caught. 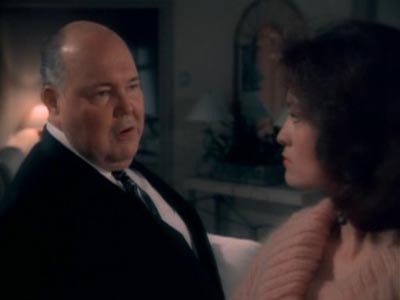 Sue Ellen questions Cliff about why he won't have a family. Tracey tells Bobby about her tragic past. Bobby learns McKay is Tracey's father. Lucy becomes a major shareholder in Denault Inc. J.R. hires a private eye to learn about McKay. 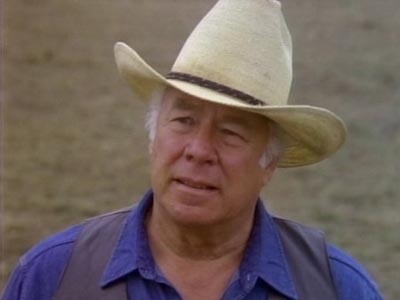 Wendell is after the oil on Southfork's section 40 and uses Mckay to achieve his goal. Dr. Loveless takes a giant step in his plan to rule a world of "little people" by reducing West to a six-inch miniature. 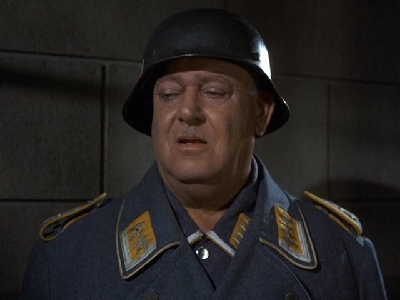 The heroes try to prevent the Gestapo from sending Klink and Schultz to the Russian front. 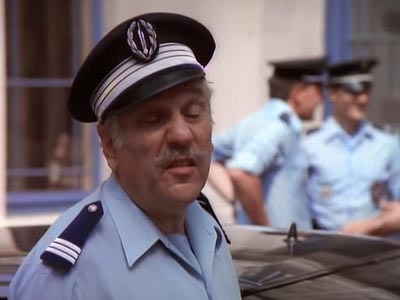 West tries to convince a Serbian official to hide the Kara Diamond, then it disappears and West is blamed. Arte and Jim must find the diamond before Morgan Midas can complete his sinister plan. 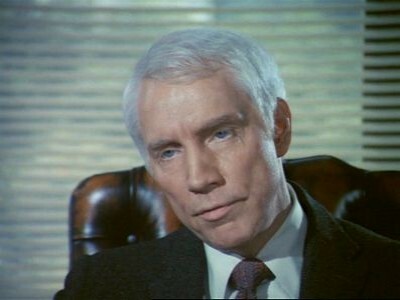 Bobby and J.R. refuse to sell Ewing Oil to Brundin and they suspect that Carter McKay is behind the scheme. Brundin and McKay plan a new strategy after the Ewings' refusal. 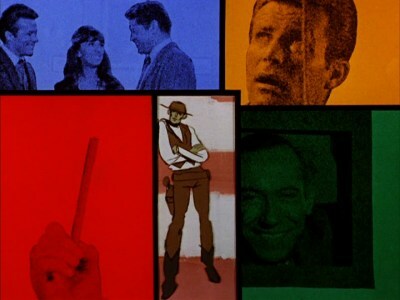 Bobby and J.R. wonder if Chick and Bunny Harvard could be spies for McKay. J.R. is too physically exhausted to keep up with Cally. 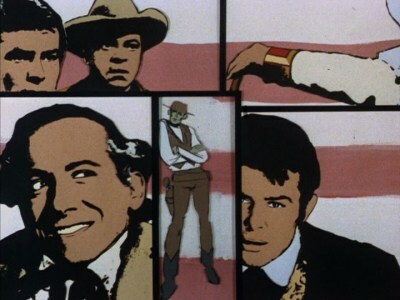 Back in Dallas, Clayton's memory problems continue and he wants to go to the Southern Cross ranch. Cliff tries to give Afton an engagement ring. Sue Ellen is concerned about how Miss Ellie will react when she learns about J.R.'s affair with Kristin. Don Lockwood tells Sue Ellen that she reminds him of his late wife. 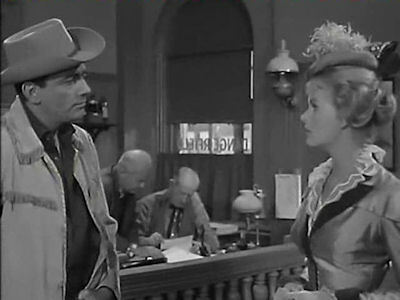 Afton tells Cliff to stay away from Pamela Rebecca. In Vienna, J.R. unexpectedly runs into Vanessa Beaumont. Pam has to go to Paris for work, and although he doesn't approve, Bobby takes her to the airport and runs into Jenna Wade, his old girlfriend. They spend a lot of time together and reminisce about old times. JR attempts to take an interest in Sue Ellen's life, which annoys Sue Ellen, and prevents her from seeing Dusty. Donna and Ray realize they come from different lifestyles. Miss Ellie concentrates on defeating land developer, Matt Devlin. 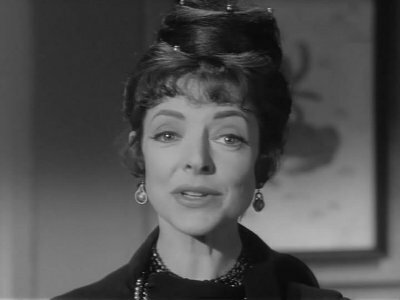 Trouble begins when Dr. Smith tricks Judy into entering an enigmatic dictator’s beauty contest. 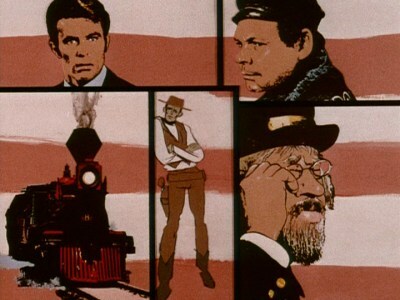 When Victor Freemantle, a dangerous revolutionary, steals the U.S. Constitution and holds it ransom forr $1,000,000, agents James West and Artemus Gordon are sent by the government to the Panhandle Strip in Texas to recover it. Irma Hodge's wealthy step-father, Sumner Hodge, is withholding her inheritance because he dislikes her folksinger boyfriend, Con Bolton. When someone supposedly takes a shot at Sumner, he suggest to the police that Con is to blame. Then another attempt is made on Sumner's life which proves successful. His car goes over a cliff with him behind the wheel and an investigation reveals that the brake line had been severed. Witnesses then claim Con was fooling around with the brakes minutes before the crash and he's charged with murder. J.R.'s stalling over Jock's request for Amanda's will provision is revealed. Sue Ellen continues to meet with Dusty, who encourages her to leave J.R. Miss Ellie receives the news she dreaded about her breast. She doesn't tell Jock because in the past he left his first wife Amanda because she became ill. She goes into the hospital for treatment. Jim and Artemus try to recover stolen Franconium, a deadly radioactive material trusted to the U.S. by Prussia. 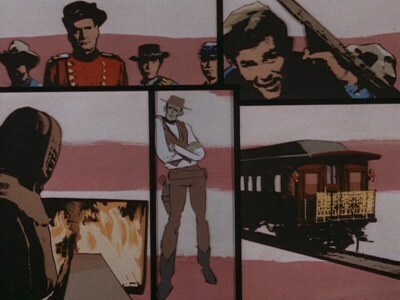 An attempt to assassinate President Grant is foiled at the last minute by West and Gordon. However, there's more going on than a simple assassination since the weapon used in the attempt was stolen in recent raids on government and territorial armories. Cliff is furious to learn that J.R. is back in Ewing Oil all the way but he changes his mind when Bobby tells him about the European plan. Tracey and Bobby break up after April complains to Tracey about Tommy's behavior. J.R. tells Ratagan to find out about Gustav Helstrom. Sue Ellen demands honesty from Don Lockwood. Cally decides to learn to "talk proper". Tommy McKay is on the run from South American drug dealers. Tommy sells more information to J.R. Tommy beats April up and then is beaten up by Bobby. April tells Bobby she cares for him. J.R. recruits Cally to help him meet Gustav. 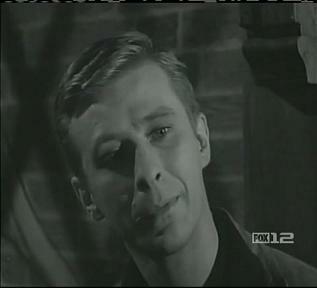 Carter McKay threatens Bobby when he learns about what he did to his son. Three JD teens cruise Hollywood Boulevard in a cool convertible lookin' for kicks! A liquor store goes down and the blackmail and plot twists begin. Lies and more lies and it's going from bad to worse for young Timmy Balfour who soon discovers that there's every bit as much delinquency from the adults when he's charged with murder. When President Grant attends an event at the German Consulate, Baron Hinterestoisser invites him to a special reception where he'll have something to show the president. West retrieves the mysterious box and they're shocked when they learn of its contents. Mason is hired by a woman who is convinced, after a series of bizarre events, that she's crazy. Bart tries to track down Pearly Gates, a smooth con man who cheated him out of $5000. Ben finds an old journal that he kept while in a wagon train travelling from St. Joseph, Missouri to Ash Hollow. As he is reading it Ben remembers the journey he undertook with his wife Inger and a young Adam. During the trip Hoss is born and they have trouble with some Indians. Counterfeit money is appearing in an area around Denver in sufficient quantities to undermine the U.S. economy. 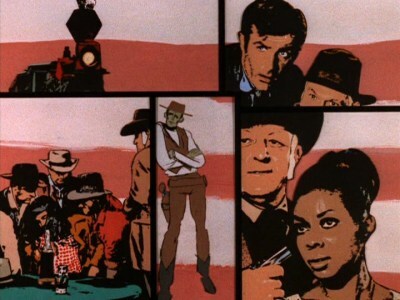 West and Gordon attempt to track down the source of the fake currency before it's too late. A wife's ears perk up when an insurance investigator informs her that he has proof that her husband was wrongfully convicted of the crime for which he is imprisoned. Then the insurance investigator turns up dead. Goings on in an elevator highlight this episode. An ancient Aztec map leading to the lost treasure of Montezuma is discovered in Mexico and points to a location in Texas. 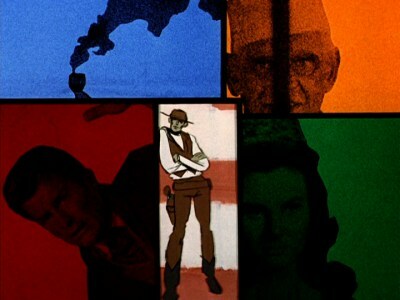 In order to ensure that a diplomatic incident does not ensue, West and Gordon team up with Colonial Sanchez of Mexico and a noted archeologist in a dangerous trip across the Texan desert in search of the treasure. Vanessa says that she came looking for James, and J.R. and Cally make her feel welcome. James dates Sly Lovegren but she plays hard to get. Bobby and April have another fight with Cliff and Michelle. J.R. and Vanessa reminisce about old times. Miss Ellie and Clayton meet Sarah Ewing and her Jewish family whom Jock saved during World War ll. 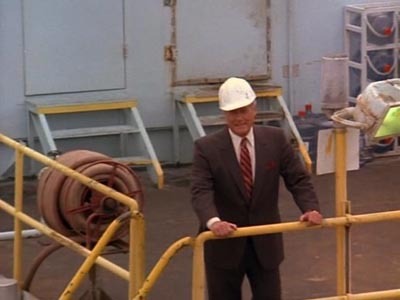 Bobby takes James around the refineries. Tension between J.R. and Cliff rises and J.R. wants to buy Cliff out. Sarah Ewing gives Ellie a letter from Jock to his son, written 45 years ago. McKay is told that his tanker is in serious trouble. At the Oil Barons, everybody at the table is completely stunned, most of all J.R., as James makes his shocking revelation. Clark Tyson, a boy that Jan has a crush on, likes older girls, especially Marcia. 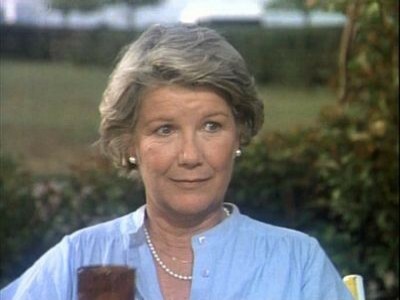 This leads Jan to make up an imaginary boyfriend, George Glass. 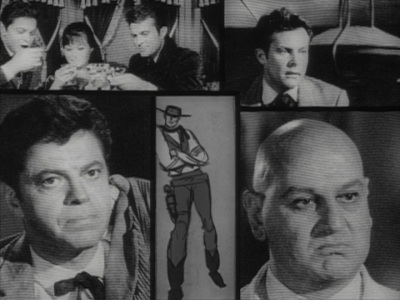 West and Gordon are assigned to protect Dr. Raven, who is developing a secret weapon. Raven is a member of a tontine, an investment group whose by-laws state that the surving member of the group gets the assets of the group. When one of the tontine's members is killed and an attempt is made on Raven's life, the agents decide to investigate. Dr. Loveless is back with another plan to take over the world. This time he is using mock-ups of the treasury, prisons and armories to train his men to be able to take over these resources upon his command. After gaining control, Loveless will be instituted as dictator. 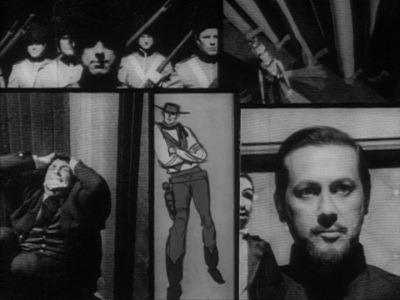 However, his plan to get rid of West and Gordon goes foul and soon the agents are in hot pursuit of the little villain. Dr.Crane, inventor of a new explosive, is missing along with his daughter. If his "doomsday formula" falls into the wrong hands, especially foreign ones, it could mean the end of the United States. West and Gordon must rescue the professor, his daughter and the formula before it's too late. 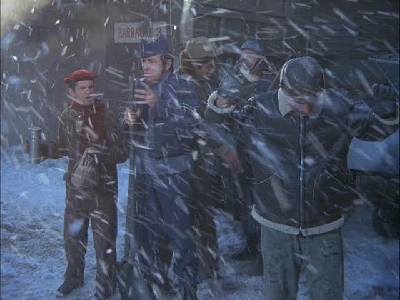 West deals with the kidnapping of the Governor's daughter while Gordon rushes to find Jim to inoculate him from the disease one of the criminals was carrying. 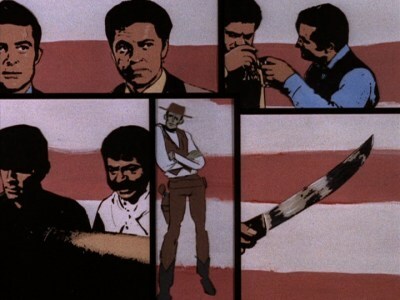 The disease proves to be the turning point in the fight between the feds and the criminals when Gordon convinces the gang to surrender in exchange for the cure. The space travelers try desperately to end a day at the zoo in which they have become specimens. After their return to Dallas, April and Bobby try to keep their European romance going. 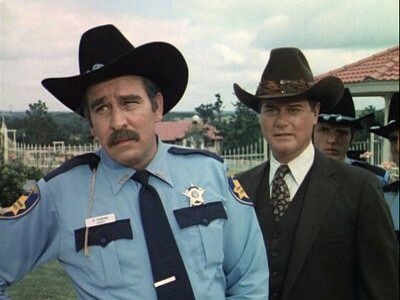 Cliff goes to Baton Rouge, Louisiana and gets duped by Afton's former husband Harrison Van Buren. Sue Ellen agrees to move to England with Don Lockwood but John Ross stays in Dallas. Weststar employees give Carter McKay a big welcome upon his return from Vienna. April gets scary, crank calls and Bobby decides to take her to Southfork. Bobby suspects that Tommy Mckay is making trouble again and he confronts Carter about it. Sue Ellen tells Cally that she'll have to fight for her identity in her marriage. Miss Ellie gets a birthday card addressed to Jock with a mysterious key inside. Sue Ellen gives J.R. a taste of what her ultimate revenge on him could be like-- a movie that will make J.R. "the laughing stock of Texas." A woman goes on trial for murder when a fortuneteller's deadly prediction becomes a reality. With April still in harms way, Bobby is forced to acquiesce to the kidnapper's demands. Still stuck in the asylum, J.R. faces off with a dangeous foe. James loses more than his shirt in a high stakes poker game. While Cliff seems to be going up in the world, Liz finds herself in deadly danger. Cally finds J.R.s letter and makes a decision. Bobby gets a shock at the police station. Agents West and Gordon have been called to investigate when a series of vibrations demolish several palatial homes after their owners decline to buy insurance from the Cyclops Insurance Corporation. The Fenians, an Irish Revolutionary Brotherhood, are trained soldiers sworn to free Ireland from British rule. The Fenians have gathered in Dakota City to plan a march into Canada where they want to take hold of a small part of British property hostage in exchange for Ireland's freedom. 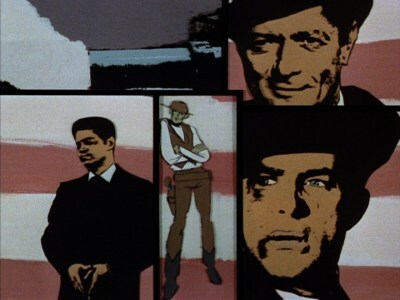 After England pressures the United States to intervene, Beau Maverick is blackmailed into infiltrating the Fenians ranks by a shrewd Army colonel.